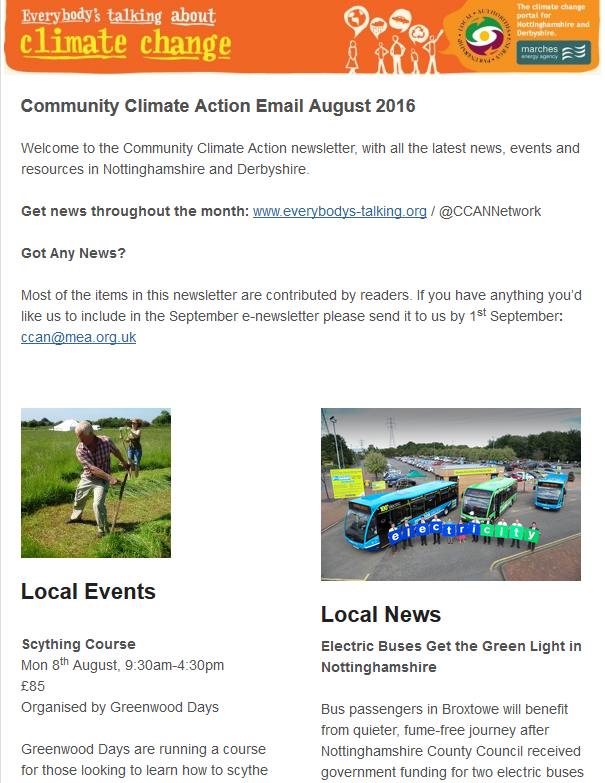 Our monthly community bulletins are crammed full of the latest news on tackling climate change for people living in Derbyshire and Nottinghamshire. If it's happening, this is the place to find out about it. If you would like to receive the bulletins by email each month please fill in the form below. Can't wait for the next newsletter? Read our most recent newsletters online now.